Amar has always been a humanitarian. First, he was going to be a doctor, then a computer scientist. 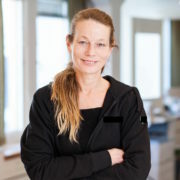 Then a teacher of business, art and ethics. Somehow, he managed to find his way towards being a Capoeirista. 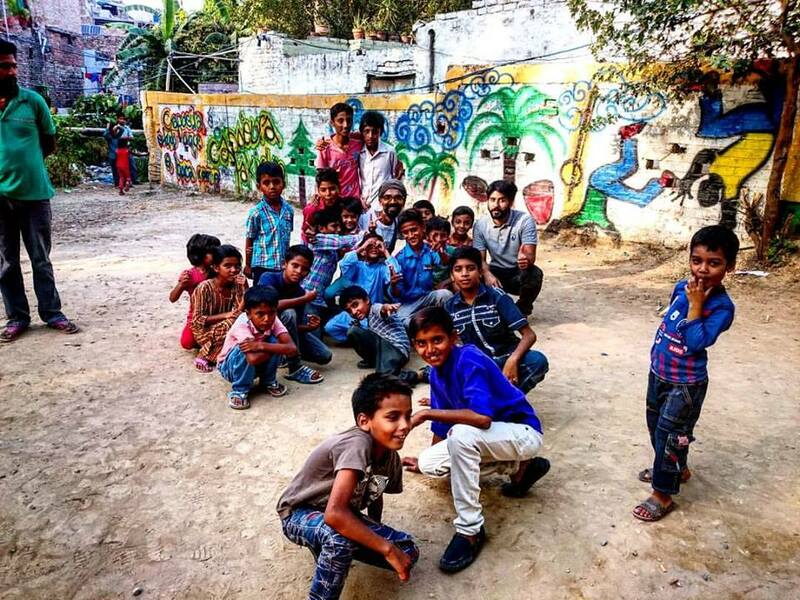 From his experience living and growing up in Pakistan and his recent experience working in Peru, he has focused on showing the positive impact that capoeira can have on women and children. Amar first introduced Capoeira to Pakistan in 2007 as the pioneering teacher of this art, back when no one had any idea what it was. There was no cultural frame of reference beyond the acrobatics, music or references to a Tekken character available to connect to this ritual for most Pakistanis. Amar’s focus is not solely the sport of Capoeira, but the broad and colourful musicality, history and culture of Capoeira. This has led him to research the presence of communities in Pakistan that have kept alive traditions (such as making instruments or ritual songs) relating to Capoeira as well as associated Afro culture in South Asia on a wider level. 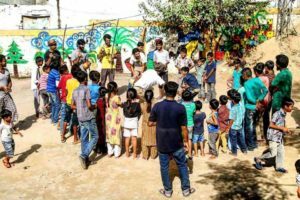 Cultural preservation of these skills is necessary and Amar is planning to give workshops, gather and keep alive the specific knowledge of these communities and share them with the youth. He wants to create centres for education and training, including the theoretical, but also the vocational aspects. Lyari in Karachi, while also being one of the oldest neighbourhoods of Karachi is also well known for its violence, lawlessness and poverty. This slum is the historical center for the long resident urban Sidi population in the South of Pakistan. The Sidis are descendants of Bantu peoples settled in the area and whom have retained intimate connections to their African motherland through music and ritual. Lyari is also well known for producing athletes in football and boxing. However due to the historical marginalisation of Afro peoples in South Asia, this immense potential is wasted due to lack of opportunities of funding and training. 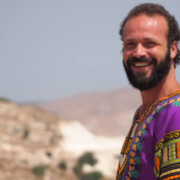 In his work, he would like to exemplify how Sidi culture links to capoeira, make allies, conduct awareness and technical workshops, help to observe and document rituals alongside more practical measures such as movement and music classes of Capoeira. Amar discusses: “A wonderful paradox that has kept me deeply curious about Capoeira since I started playing almost 20 years ago. I have seen the same delight as mine on students faces as they discover more about what Capoeira is and what it means to them. 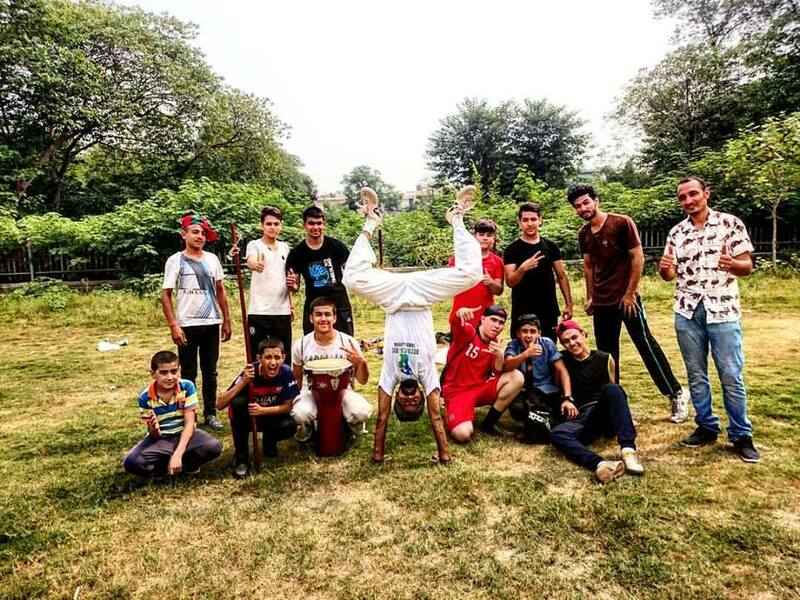 Since that beginning over a decade ago, Amar has personally ensured that Capoeira in Pakistan grows into the small nascent community of students and student-teachers from all walks of life present today. Amar has been lucky enough to experience much of the world through Capoeira. He has done all he can to help others progress on their way as good friends and teachers have helped him along. Being a Changemaker Fellow has helped him to achieve his dream of dedicating himself to utilising the transformational power of Capoeira in changing the lives of those who need and understand it. To the dispossessed and marginalised wherever he may be able to reach out to them through his work. Capoeira is most meaningful and useful to those who suffer prejudice and injustice. The mission is still the same as it ever was, though now Amar is part of a global network that can do so much more then he or his students ever could on their own. Amar is currently working in Peru and collaborating with other Peruvian Angoleiros who share a common vision of growing an active community of Capoeira Angola engaged with social work. Connecting Brazil, Peru and Pakistan through cultural and educational exchange is thereby part of a bigger plan. 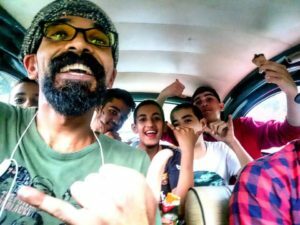 After initiating and establishing work in Peru, he looks forward to returning home to Pakistan to expand and fortify connections between and within Brazil, Latin America and South Asia inside the roda of Capoeira.